We design the clock faces ourselves and we always try to keep in mind all important details. We consider carefully the place for the clock mechanism attachment hole (it is marked on the clock face for you to position and center it on your clock without any problems). 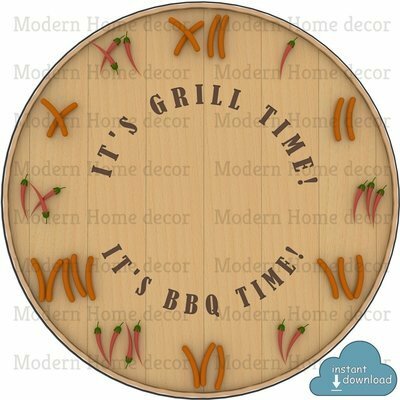 While using our clock faces you will not have your finished project having clock hands poking out of character's eye, nose or stomach. The numerals are always bright and clear to be seen easily. We also try to add some variations if possible. Hope you will like our items! All digital images are Instant Download Files. 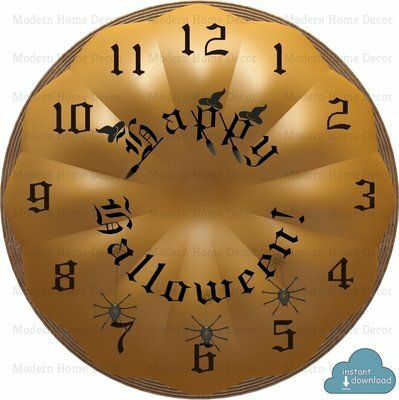 "Happy Halloween" Printable DIY Clock Face. Instant Download.